A title of quality Multi Purpose Vehicle (MPV) in India is currently seized by Toyota Innova and Mahindra Xylo, but picture won’t be the same after the unveiling of Korean carmakers MPV ‘Hyundai i800’ or ‘Hyundai Starex’ at the 2012 Delhi Auto Expo. The vehicle is expected to be available in two variants that include a short wheel-base and long wheel-base with a capacity of 7 to 9 seater and 9 to 12 seater respectively. 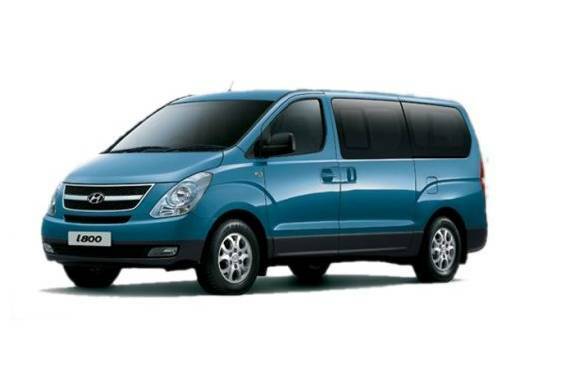 The second generation of Hyundai Starex will face stiff competition ahead after its estimated launch amid 2012 with to be launched Nissan NV200, Maruti Ertiga, and Chevrolet-Wuling Sunshine along with present rival Tata Aria. The largest vehicle exporter will aggressively price its vehicle at around INR 8-10 Lakh for entry level. In the global market Hyundai i800 is offered with a 2.5L CRDI VGT diesel power-train and this sort of engine promises a maximum output of nearly 170 PS. This engine is mated to five-speed automatic gear box. But till the time it sees its India launch, it sure to through many modifications under the bonnet. Korean MPV has been extremely successful since its launch in 2002 in the Chinese auto market, where nearly every year it has won the award for ‘Best MPV’. The company looks ahead to revise the triumph tale in the Indian auto sector as well. There are also expectations that Hyundai i800 may be launched as premium MPV in the country or else the top variant might be launched with host of luxury elements as available in the worldwide auto market. As of now, the premium segment of Hyundai Motors in India offers Hyundai Sonata and Hyundai Santa Fe SUV. The company is the second largest manufacturer of passenger cars that includes hatchbacks Hyundai Santro Xing, Hyundai i10, Hyundai i20 and Hyundai Eon besides Hyundai Verna Fluidic, Hyundai Accent in the sedan segment. i want to know whether this car is going to be launched in india anytime soon and what will be the price tag on road for maharashtra. I liked this van in diesel ,How much is the CC,Price,Length,Width,Height,and Other Specification .I really like to wait and buy this VAN.SEND ME IMAGES & INTERIORS OF THIS VAN.